This game comes from David Letterman. What made it popular was the fact that he went overboard in hyping it up. It's a dumb game but you can use that to your advantage and it becomes thoroughly entertaining. This is a repeating game for our group, and they always want more! Bring several kids up front, show them an object (ex: tub of cream cheese). Then ask them if they think it will float. Then ask the audience what they think. 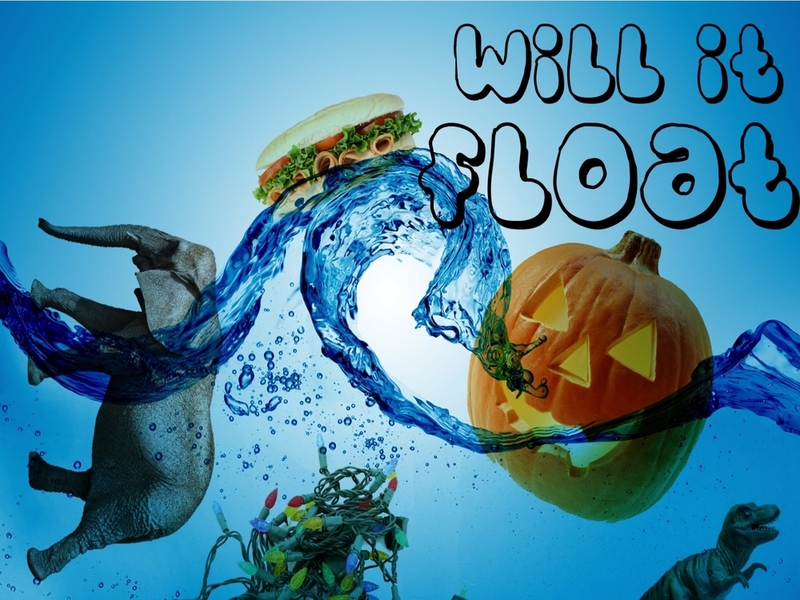 You can ask the audience to raise their hands if they think it will float. Or raise their hands if they think it will sink. Ask the contestants what their final guess is and then drop the item in. The students that got it wrong, sit down. The students that got it right can stay up front. Repeat the process for your other items - we recommend a total of 3. Whoever is still up front at the end (meaning they guessed correctly for each item) can get a prize. Use themed items for a theme night. Christmas ornaments for Christ, Valentines day gifts for Valentines day, etc. Dye the water green for St. Patricks day. You got this. Go over the top with it. This can be an easy game for you to play with very little set-up. And kids will love it, if you love it. Feel free to point out how ridiculous of an idea it is. And yet how addicting it is to keep playing! If you're feeling really fancy, buy a broken iphone online. Plant it on a kid who owns an iphone ahead of time (let him in on it). Then ask if you can see it during the game. Then ask people if they want to find out if it floats or not. Pretend you're going to drop it in... and then "accidentally" drop it in. When you're running low on objects or inspiration, ask a leading to bring 3. Download Modest Mouse's "float on" then clip the chorus and loop it. It's fantastic.